A well groomed pet is a happy, healthy pet. But, there are many reasons that visits to your pets groomer isn't always possible. With FURminator's new line of professional quality grooming tools, you can get near professional results at home and it all starts with brushing. 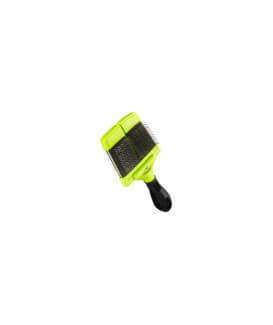 The JW GripSoft PET HAIR MAGNET has a 7" rubber blade that removes unwanted pet hair from carpeting, upholstery, clothing and car seats.